Beverly Hills Theft Crimes cover a wide range of criminal offenses, all of which involve the unlawful taking of property or money belonging to another without permission. Theft offenses can be infractions, misdemeanors or felonies, depending on the underlying facts of the case and value of the items stolen. California PC 484(a) is the statute that deals with Beverly Hills Petty Theft, which covers theft of property or money under $400. Most simple shoplifting charges are filed under Penal Code 484(a). Beverly Hills Petty Theft is a misdemeanor punishable by up to six months in jail, probation, hefty court fines and assessments, restitution to the victim including prosecution/security costs, community service and/or labor, and mandatory counseling programs. Beverly Hills Petty Theft convictions can have an effect on professional licensure and be a serious deterrent to future employment. Convictions for Beverly Hills Petty Theft can be used as enhancements under the law, which means that any future incidents of Beverly Hills Petty Theft can be a felony under California Penal Code Section 666. Theft of property or money in excess of $400 is considered Beverly Hills Grand Theft under California PC 487(a). It is a felony level offense. A Grand Theft conviction includes penalties such as prison sentences, probation or parole, court fines, fees and assessments, victim restitution and theft counseling. 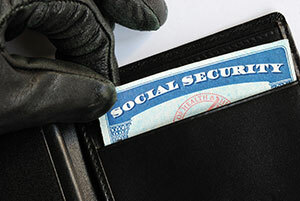 Certain defenses can be raised to challenge allegations of Beverly Hills Theft Crimes. The People must be able to prove that the theft was not inadvertent and that the defendant fully intended to steal the item or money. Thus people who accidentally walk out of a store without paying for goods would have a valid defense against charges of Grand or Petty Theft. Additionally, consent is a valid defense to most Beverly Hills Theft Crimes. This means that if the person accused of theft had permission or reason to believe they could take the property in question, they lacked the requisite intent required under the statute. If you have been charged with or are under investigation for a Beverly Hills Theft Crime, it is crucial that you have an experienced and knowledgeable Beverly Hills Theft Crimes Defense attorney representing you as soon as possible. Beverly Hills Theft Crimes Defense Attorney Michael Kraut is experienced in representing clients accused of theft crimes and has successfully had cases dismissed or charges significantly reduced. In many instances, Mr. Kraut has been able to intervene prior to filing in order to prevent the prosecutor from charging altogether. Mr. Kraut is a former deputy district attorney with over 14 years of prosecutorial experience and is respected throughout the court system by prosecutors and law enforcement professionals alike. For more information about Beverly Hills Theft Crimes, and to schedule your free consultation, contact Beverly Hills Theft Crimes Defense Attorney Michael Kraut at the Kraut Law Group located 8484 Wilshire Boulevard, Suite 660B, Beverly Hills, CA 90211-3220. Mr. Kraut can be reached 24/7 at 888-334-6344 or 310-550-6935.